Try it now, free for 30 days! Alter the size of your design to a variety of templates. 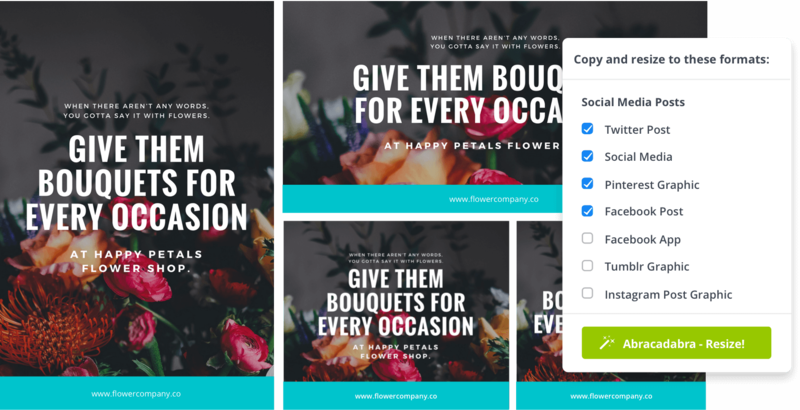 Easily change a poster to a social media post with just a few clicks with Canva’s Magic Resize feature. Changing the dimension of your design is so simple you can even change the dimension of one design into different design types at the same time. Upload your assets to your brand kit page and set all your brand colors and fonts so they become the default selections each time you open a design. Canva Schedule is the social media tool that gets you seen. Post and engage on Facebook, LinkedIn, Pinterest and Twitter. Experience the easiest way to animate your graphic and watch your designs come alive. Invite unlimited members to your team and easily share your brand templates, colors, fonts and logo. Browse through our selection of free templates and create and customize a design for any occasion. Tired of pesky backgrounds? You can now download PNG images with transparent backgrounds. Simply publish a design as a template and the design will automatically be added to your brand page. Level up your design and pick from thousands of free icons, illustrations, and photos. Ensure on-brand content by uploading your logo and fonts. Plus, customize your color palettes. Organize your designs in a snap by creating folders in your account. Canva makes design easy and accessible for everyone. With our drag and drop feature, you will be able to create visually appealing and on-brand materials in just a few clicks. We have a vast collection of templates — and still growing! Explore our library of customizable templates and discover designs ranging from special holidays, advocacy, business, education and more. We have the best-curated selection of design layouts for all your graphic needs. From social media post, presentation, invitation, website banner, and so much more, we got it ready for you. Start your design projects with our millions of photos, illustrations, shapes, and icons. Plus, gain access to photo filters and hundreds of fonts. Download your designs in JPG, PNG and in PDF format or share it on Facebook and Twitter with just a click. It’s really brilliant for people like me who aren’t design­ savvy. I can design something that’s on brand and aesthetically pleasing in a short amount of time. 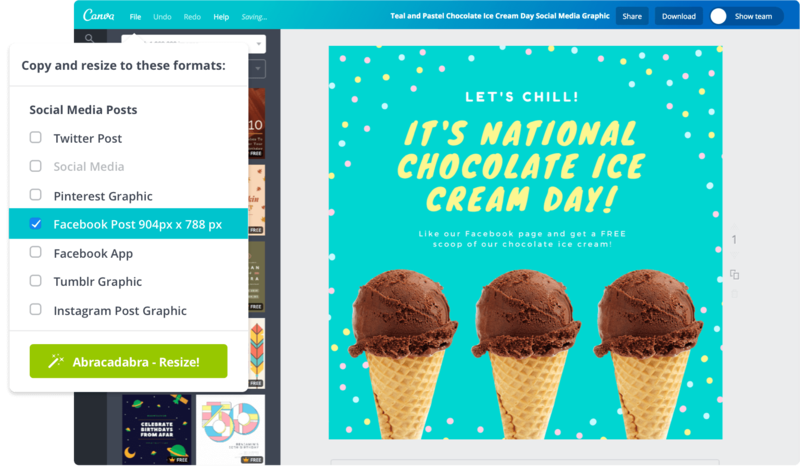 @Canva for Work is an amazing tool - it takes the hard yards out of content creation and sharing among a team. I use it every day! There’s no design skill required or costly program downloads that have to go through approvals. Results are instantaneous. Canva for Work is perfect. It gives us so much more autonomy and allows us to be a lot more nimble.